Global Presidential Election enables you to vote for a global leader from a pool of fourteen dictators using a voting system based upon the model of American democracy. The goal of this project is to examine the rhetoric surrounding America’s favorite buzzword, Democracy. With the current state of international relationships both economically and politically seeing power struggles and consolidation in the form of inequality and war, we have created an installation/performance/website in the form of mock elections that asks much needed questions about the nature of the Democracy the West is so keen on selling. 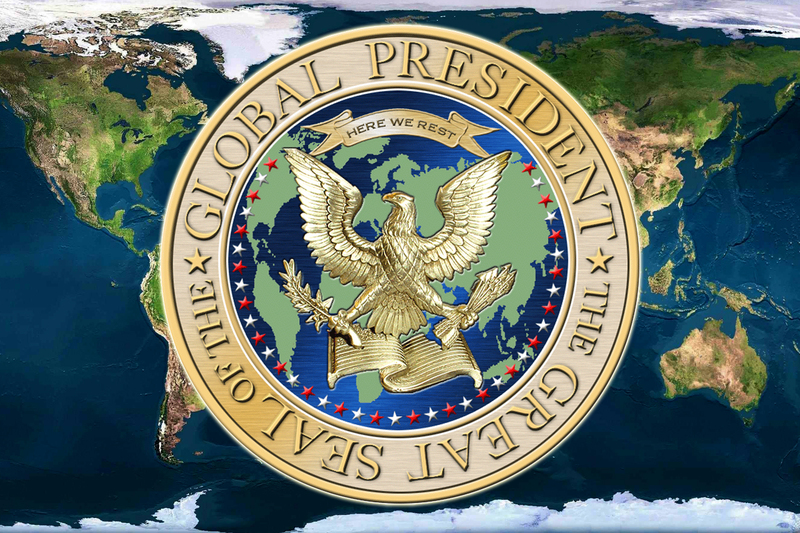 Global Elections was first conceived of in May 2003 as a project for a show at C.S.O.A. Cox 18, in Milan, Italy. At the time the United States government under the Bush administration had just raised its own method of terrorism, by escalating the threat of war to actual invasion, using the banner of Democracy, Freedom, and fear of “Mass Destruction” to further this agenda. The problems with this notion of Democracy, particularly in a time of aggressive global capitalism are manifold. It is with this in mind that Global Elections was created to ask important questions about what is meant by the usage of a term that once implied a chance to participate in one’s own life. What can a vote change? What, and who are we allowed to vote for? Most importantly, what are the differences between individual interests and the interests of career politicians with strong ties to corporate lobbyists? (We may actually call them “sponsors” now). Initially, Global Elections was executed as a performance. A voting pamphlet was printed with candidates selected from current, high profile heads of state, along side of some of the twentieth centuries most notorious “leaders”, and a situation was constructed where participants could vote. By careful selection of candidates, as well as accompanied by texts listing their “accomplishments”, it was intended to ask several, pointed questions about the nature of Democracy in it’s new configuration within an over all schema of global capitalism. Since it’s launching as a performance, GE has taken to operating as a campaign. A website GlobalElection.org has been constructed with infrastructures, pages and contents that mirror many of those found owned and operated by the US government. Within these pages, texts have been placed that appropriates the actual language of these official sites, manipulated to reveal just where the logic of particular facts in today’s democracy leads. By functioning as performance, in conjunction with it’s placement as a form of internet activism, Global Elections does not seek to provide answers to the problems posited by the usage of the term, “democracy”, but to reveal it as the language of propaganda. – Fourteen candidates were chosen to ensure the global democracy- John Howard, George W Bush, Saddam Hussein, Ariel Sharon, Idi Amin, Pol Pot, Arnold Schwarzenegger, Silvio Berlusconi, to name a few. – Voters are encouraged to write-in their own candidates. – To make your vote more potent, for a certain amount of political contribution Global Presidential Election will allow your one vote to count as five with our Voter Investment Center. – Our Absentee Ballot Program subtracts two actual votes from candidates of your choice for for a certain amount of political contribution. – To make sure your votes are correctly counted, Global Presidential Election employs the official Bush VS Gore 2000 election voting system that includes the Official “Punch Card” voting booth from Collier County, Florida and the exact appropriation of the “Butterfly Ballot”.